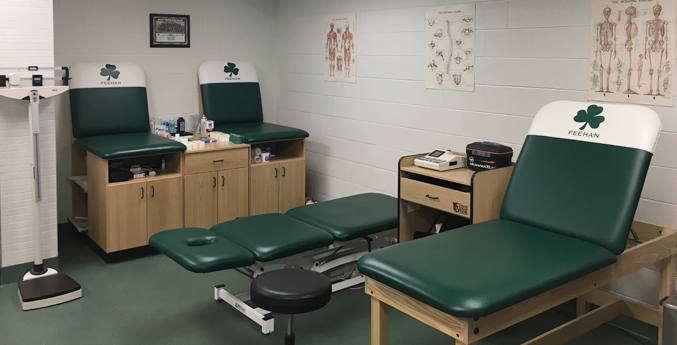 Do Athletic Trainers Impact Injury Rates in School-Based Settings? Take Home Message: The presence of an athletic trainer in a high school is associated with a lower rate of injury – especially recurrent injury – in girls’ basketball and soccer. Concussion diagnosis improved in schools with athletic trainers. Sport participation, regardless of level, will always pose some risk of physical injury. In addition to physical limitations, athletic injury can also cause psychosocial and economic concerns. In addition to an athletic trainer (AT) providing immediate medical attention to an injury, they can also mitigate risk of sport participation through proper emergency planning; implementation of prevention programs; monitoring of health and safety measures for weather, equipment, and playing conditions; and determining when an athlete is ready for return to activity post-injury. To investigate this impact of having an AT on site, the authors compared injury surveillance data from girls’ basketball and soccer between high schools with and without an AT. Between the 2006/07 and 2008/09 academic years, data were collected via the High School Reporting Information Online (RIO) in high schools with an AT and Sports Injury Surveillance System (SISS) in Chicago public high schools without an AT. Schools with ATs willing to participate in the RIO system were stratified by size and geographical location and investigators randomly selected 100 schools from across the country. 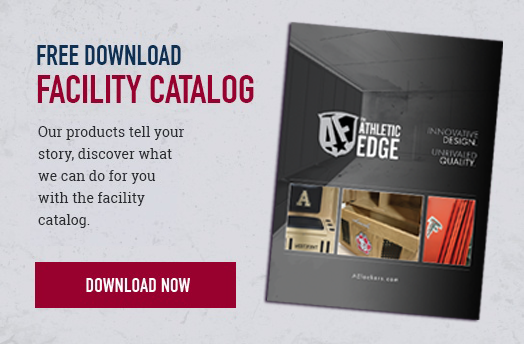 For these schools, ATs logged weekly injury and athletic exposure reports. An athletic exposure was defined as participation in either a practice or a game. An injury was defined as one that occurred during sanctioned practice or competition, required medical attention by an AT or physician, and resulted in a time-loss from activity of at least 1 day. For SISS schools, coaches reported injuries and participation to determine athlete exposure. For this system, an athletic exposure was defined as athlete participation in a complete or partial practice or competition and an injury was defined as time-loss from a practice or competition. Research assistants reviewed injury reports immediately after each week and scheduled follow-up interviews to obtain more detailed information. For both sports, the overall injury rate was higher in schools without an AT than in schools with an AT. Additionally, among schools without an AT, the rate of recurrent injury in both sports were ~6 times higher in girls’ soccer and ~3 times higher in girls’ basketball. Most notably, rates of concussions in both sports were higher and comprised a higher proportion of all reported injuries in schools with an AT. "For both sports, the overall injury rate was higher in schools without an AT than in schools with an AT." 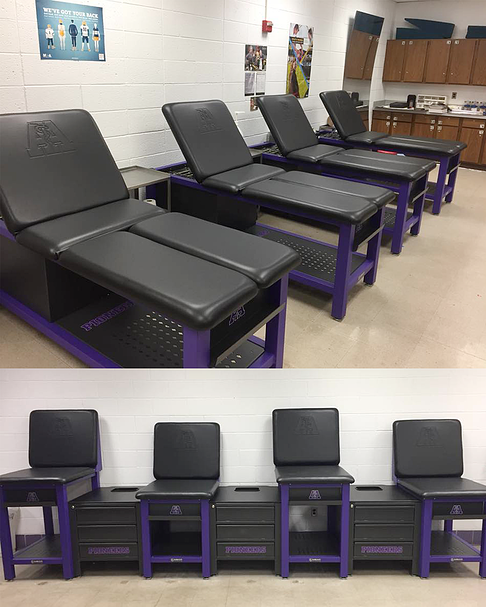 Numerous organizations, including the National Athletic Trainers’ Association, American Medical Association, American Academy of Family Physicians, and the American Academy of Neurology recommend the presence of athletic trainers in schools. In a novel approach, the authors of this study produced evidence supporting the clinically meaningful impact that ATs may have on communities. While injury rates – especially recurrent injuries – were less common in schools with an AT, concussions were more commonly reported. The authors discussed that these results emphasize the importance of AT services not only for immediate attention to injuries, but to also prevent recurrent injuries and improve concussion diagnosis and care. Furthermore, ATs likely treat a portion of non-time-loss injuries and prevent those from resulting eventually in a cessation from activity. Most important to this discussion is the socioeconomic factor associated with a school’s capabilities to fund and provide AT services. Schools in more affluent geographical areas likely have better access to AT services and physicians, specialists, and other clinicians who comprise the sports medicine team. Athletes in socioeconomically disadvantaged areas may either lack access and/or resources to seek medical care, even for more serious injuries. It can be strongly argued that these schools are where ATs are most needed. It is important to keep in mind that this study cannot demonstrate that an AT is the cause of these better outcomes. The schools with ATs were selected to be representative of high schools in the United States while the schools without ATs were all from an inner-city public school district. It would be beneficial if future investigators collected data in similar schools with and without an AT. Despite this limitation, this study offers compelling evidence supporting an array of position statements that ATs should be available to student athletes. This blog was curated from an article written by Laura McDonald on August 20, 2018 on sportsmedres.org. The original article can be found here.